In May, the Samsung Galaxy C7was released in China. The phone and the rest of the series Galaxy C, was expected exclusively for that market. However, New York City's B & H Photo is now accepting pre-orders for the device. The photo and electronics retailer is known to provide mobile devices for both physical and online stores. The Samsung Galaxy C7 listed on B & H website comes with 64 GB of internal memory and is unlocked. Color options are Gold and Gray. Keep in mind that this is a GSM phone, which means it will work in the United States on the networks of AT & T and T-Mobile. The phone is priced at $ 459, and you can book by pre-ordering the handset. Or, you can request an e-mail when the Galaxy C7 is available from B & H. The Samsung Galaxy C7 features a 5.7-inch Super AMOLED display with a resolution of 1080 x 1920. The Snapdragon chipset 625 drives the phone, with an octa-core 2 GHz processor with Adreno 506 GPU. 4GB of RAM is inside along with 64GB of native storage. 52.6GB storage space is available for the user. A 128GB capacity microSD slot is available for those additional storage. The camera combo behind considering forward 16MP (with an aperture of f / 1.9) and 8MP. A 3300mAh battery keeps the lights on, and Android 6.0 is preinstalled. 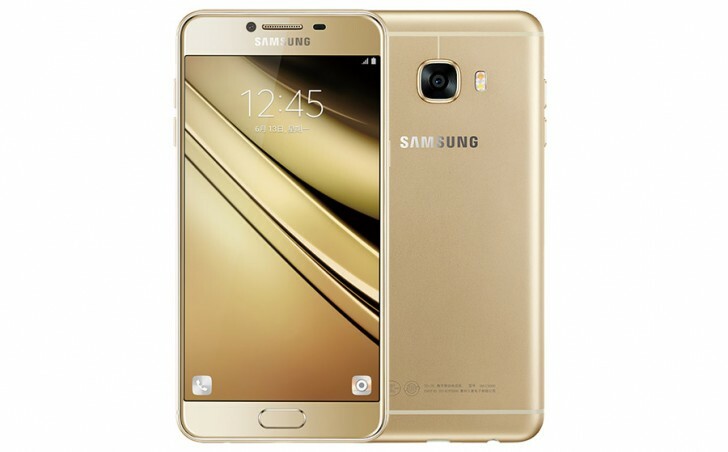 The Samsung Galaxy C7 is not the only Samsung Galaxy model once thought to be limited to overseas distribution, which comes to the US Other models rumored to be inbound to the United States include the Samsung Galaxy C9 Pro and the Samsung Galaxy Grand Prime Plus .